WordPress Without Code is a term I’ve been using for some time now. It refers to a method of developing WordPress websites that truly puts the client first. After working with several marketing managers at companies in the 11-50 company size bracket, I noticed a trend with their WordPress websites. These websites were built with a lot of custom code, and as a result the page templates and functionality could not be altered by the client. 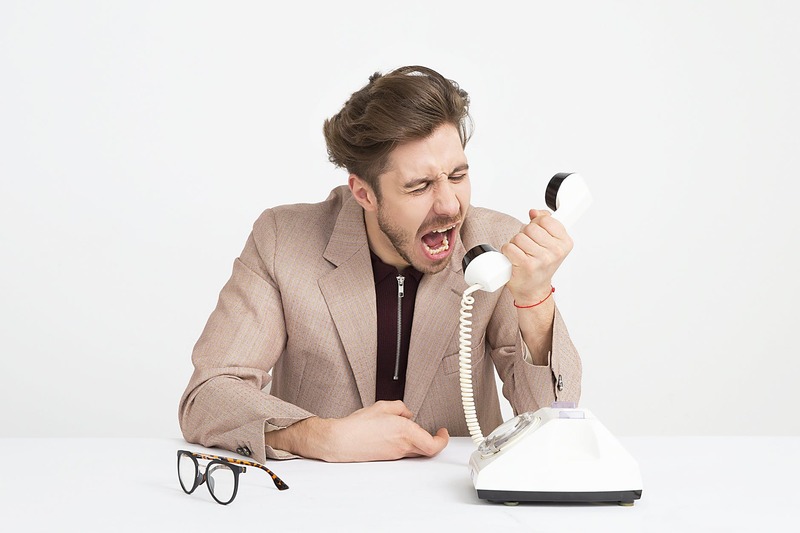 This was generally very frustrating for the marketing manager, as everything had to be run through a developer. To me this seemed counter productive. The whole point of WordPress (at least in my opinion) is to make web development easier and to empower the non technical user to take ownership of their website, as much as possible. This means that the marketing manager, or whoever is accountable for making changes to the website within the business, is generally unable to do many things that they should be able to do within WordPress. It’s worth noting at this point, that this development method is targeted at companies in the 1-11 employee and 11-50 employee bracket. These are the customers I work with, and this is a pain point I have discovered that they share. This is almost certainly not a pain point for businesses with the budget to support their own developer or development team. These characteristics serve the budget and objectives of small websites well, allowing the marketing manager or person responsible for the website, to add, edit and grow the website with the support of a developer, rather than being entirely reliant on a developer. It’s also important to note that these tools allow these businesses to control their costs, with developer support being focused on overseeing their website, setting up API’s, bug fixing, introducing custom code snippets and handling the process of pushing changes from development to live. If the foundation is the premium theme, then the page builder is the toolbox. This is what your page templates will be built with. Your page templates will inherit the global styling and settings that you apply in your Theme Customizer (though you do have the option to override them). Both Elementor and WPBakery Builder provide the functionality of turning pages you build, into templates you can use for future pages. WPBakery Page Builder uses Templatera and Elementor has built in templating. Both are very easy to use, and allow the end user to setup page templates without using PHP templates. With Elementor, you can even build your own Shop and Single Product pages for WooCommerce. This is something that notoriously was difficult to do for the end user, without using PHP templates and WooCommerce hooks. One particularly frustrating experience for a marketing manager I worked with, was a custom quote form calculator that was built in PHP. This calculator generated a quote for customers based on the input they provided. There was no method for the marketing manager to edit the calculator using the WordPress dashboard, and values for the prices that the calculator returned had to be changed using SQL queries. This calculator was integral to their website, and due to the fact that it was entirely custom, it required a developer to make even the smallest change. This was costly and slow, and could have been managed better (even if there was a front end interface for updating the pricing on the calculator). The reason I mention the above example, is to contrast it with the ease of use of most plugins and extensions. 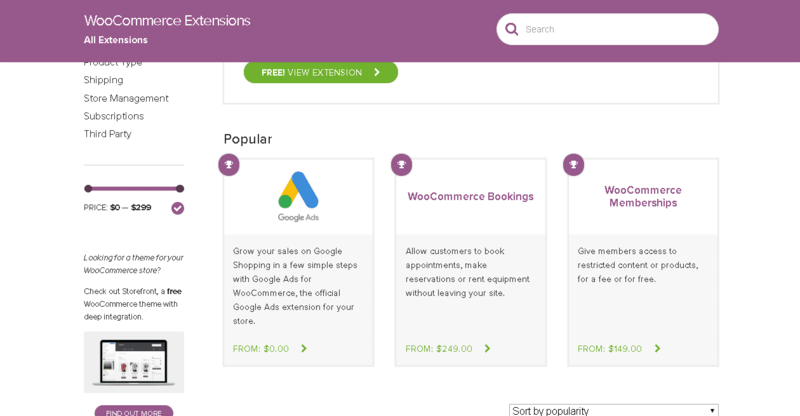 If we take WooCommerce for example, did you know there’s a store full of feature packed extensions that allow you to bolt on some seriously powerful functionality to your store? These extensions have great documentation and allow the user to control the way their work from the WordPress CMS, requiring custom code generally only for customisation or to change the way something work. Imagine the difference between a custom coded booking system and using the WooCommerce Bookings Extension, in terms of the ease of use for the client. 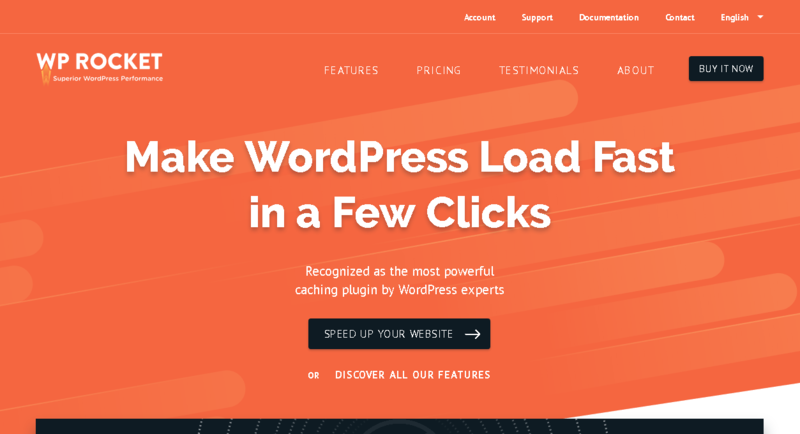 So when it comes to functionality, for an Easy To Manage WordPress Website, use plugins and extensions that are well reviewed with good documentation, and save yourself having to call your developer every time you want to update a setting! If you’ve used WordPress before, you’ll know that not all styling can be achieved through themes and page builders. This is where custom CSS comes in. 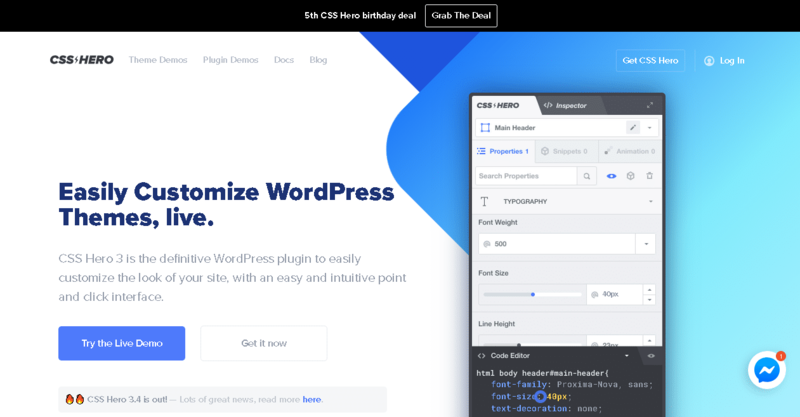 If you are opting for the WordPress Without Code method, there is an easier way for you to style elements on your website without being a CSS expert. CSS Hero, allows you to easily customize the look of your site with an easy to use point and click interface. Using CSS Hero, you can click on any element of your website and change the styling. Of course there are limits, I’m not suggesting this tool eliminates the need for custom CSS or a developer, but it’s a step in the right direction in terms of empowering non technical users with a limited WordPress budget who need to be able to make changes and control the look and feel of their site. Install WordPress on a development domain (this can be a local version of WordPress, or a password protected Staging environment). (An abridged process, I would recommend you plan your migration carefully to ensure nothing breaks or is left to chance). The process for WooCommerce websites is a bit more complicated, given that your site will continue to receive orders while your new website is being built. By default, as soon as you copy your database to a Staging environment it is out of date (because new orders will have been received on live but your Staging site). Siteground have advanced staging functionality built into their plans which can help you manage this, or I would recommend speaking with a developer if you are unsure about some form of version control, to make sure no orders are lost. Migrating your WordPress website can seem like a daunting task, but if managed correctly, it needn’t be. Hopefully you found this article useful in some form or another, if you’d like to discuss it further feel free to connect with me or send me a message.